Jesus said, "No servant can serve two masters. This is clear, and obviously true. Yet Bush claims to serve God, and at the same time his policies serve the people with money. Tax breaks for the rich, loosening of environmental restrictions, refusal to cap energy prices, military boondoggles like Iraq, missile defense- so many of his policies are designed to reward his campaign contributors, enrich his family and friends, enable crony corporations like Halliburton and Carlyle to reap enormous profits. I have never understood how people who claim to be Christians can overlook the fact that Bush serves money, and therefore cannot be serving God. Perhaps they are finally catching on. Katrina woke people up to his lack of love for his neighbor, especially when Halliburton got some no-bid contracts about a week later. Bush's Christian base is what he counts on most. Its false prophets continue to defend him, and insist that satan is motivating the attacks on him. But as more and more stories come out about lying, fraud, bribery, obstruction of justice, and as Bush CONTINUES to push a budget that takes food stamps and medical care away from the poor in order to give tax breaks to the rich, it is harder and harder to believe that he is a man of God. His own church, the United Methodist Church, just announced condemnation of the Iraq war. Jimmy Carter, a born-again Christian whose good works and peacemaking are known to all, has condemned Bush. heard all these things and sneered at him. Wake up, Christians of America, and look at the man in the White House. Decide for yourselves whether he serves God or money. He is supposed to be serving the people, not the corporations. Is he fulfilling his trust? Or is he robbing the people to enrich himself and his friends? If the latter, he should be impeached. 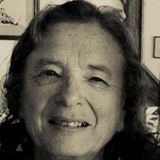 Carol S. Wolman, MD is a psychiatrist in Northern California. A lifelong peace activist, she is helping to distribute a Peace Plan for the Holy Land- email her for a copy. She also a film producer with Paradise Cove Productions. Why the resistance to 9-11 truth? Fukushima update 11-15-14- All bad news- are we doomed?